Does ShopMessage support third party checkouts? Yes, ShopMessage works with third party checkout apps, but you may need take some additional steps to ensure everything works properly! 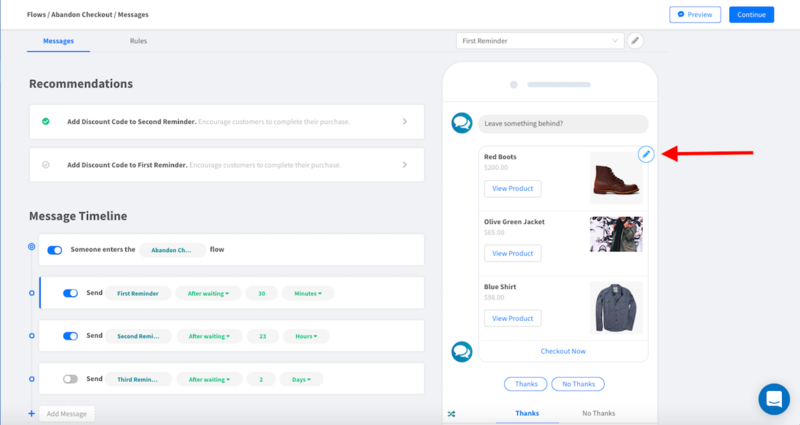 To ensure your ShopMessage integration and third party checkout are working properly, please complete the following steps. Add the ShopMessage Custom Checkout to your "Thank You" or "Purchase Complete" page. You can access your Custom Checkout Snippet at any time. Login to your ShopMessage account, click "Settings," and then click on the "Site" tab to find your snippet. Once you've located the snippet, please paste this snippet on your “Thank You” page. If possible, only include this code the first time the customer visits the page. 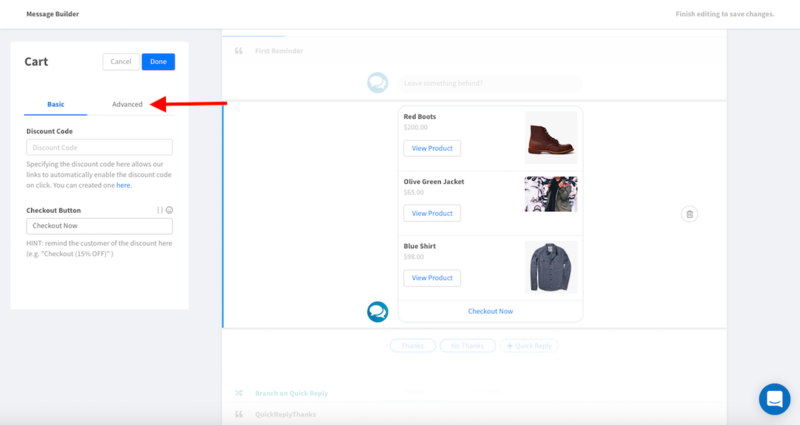 By default ShopMessage reminders include links to your Checkout page. 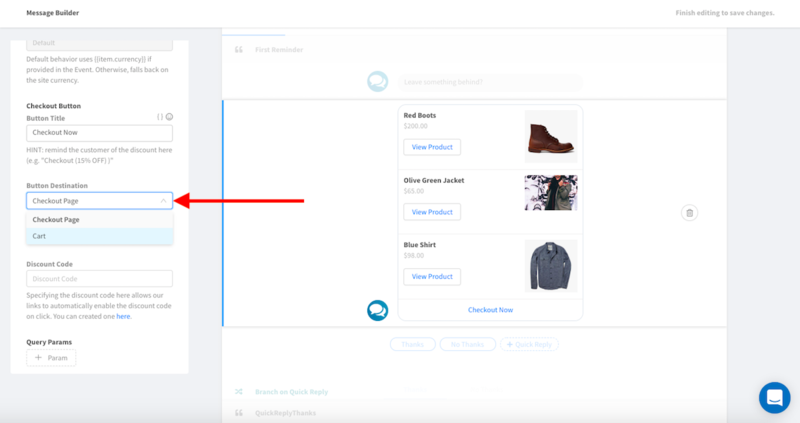 If you decide to use a third party checkout app we recommend sending your users to the cart page so they are properly entered into your checkout flow. To update your link destination, visit the Editor section of your Abandon Checkout Flow. Then click on the the pencil icon next the Cart Element. From there, click on the Advanced tab. Scroll down within the Advanced tab until you see Button Destination. Select Cart from the drop down menu and the click on Done.